In this introduction presents a wide range of research on all aspects of thinking and reasoning. Thinking has been studied in many ways, and has been analyzed from many theoretical viewpoints.Thinking and Reasoning draws on a variety of approaches but locates its subject matter squarely within the theoretical framework of modern cognitive psychology and cognitive science. After a brief historical introduction, the book covers all core areas of thinking and reasoning: concepts and images, the relation between language and thought, logic and deductive reasoning, induction, hypothesis testing, statistical reasoning, decision making, problem solving, expertise, creativity, everyday thinking, the teaching of thinking skills, and the development of thinking. Thinking and Reasoning includes an abundance of illustrative examples of reasoning problems, many of which the reader can attempt to solve before reading on to find the solution. 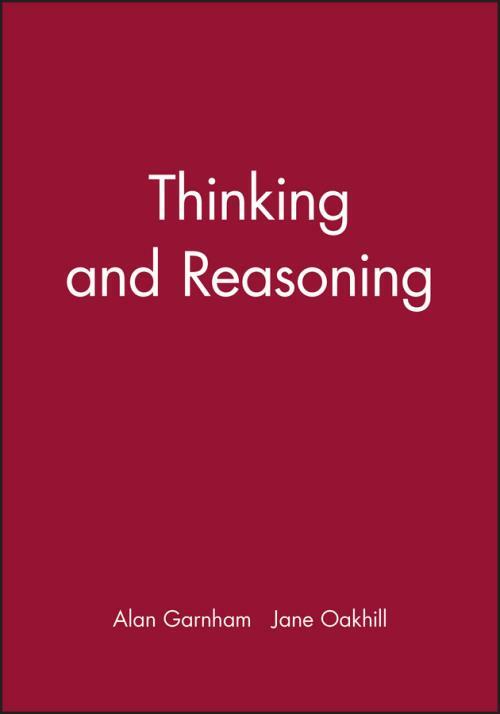 This text will provide the ideal introduction to thinking and reasoning. 2. The Building Blocks of Thought. 12. Game Playing and Expertise. 16. The Development of Thinking: Piagetian and Information–Processing Approaches. 17. The Development of Thinking: Scientific and Conceptual Thought. 18. A Framework for the Study of Thinking.